If you’ve ever known someone who’s had their identity stolen, or lost crucial business information, you know what a stressful time it can be and how long it takes to recover. The risks of cybercrime and fraud, such as identity theft, can be greatly reduced if you know how these criminals target people to steal personal data, and become more proactive in keeping your data safe. 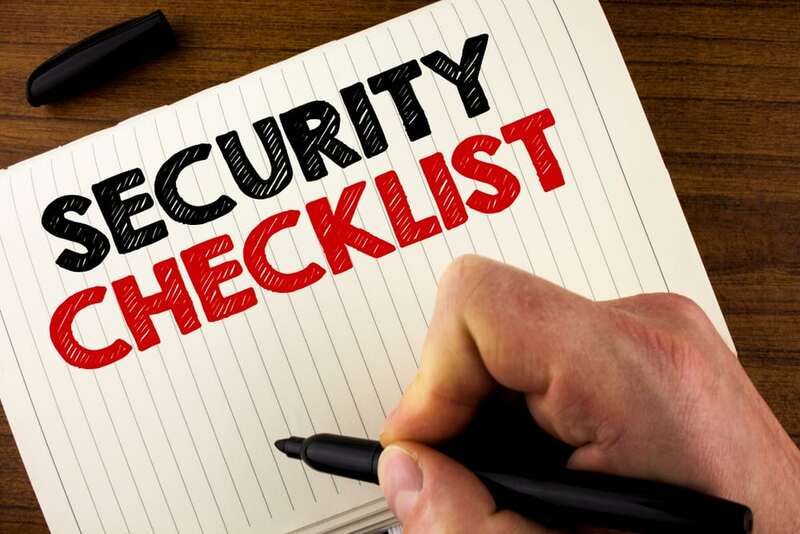 Here’s a home and business security risk checklist to help you keep your sensitive data from falling into the wrong hands. It’s just as important to be vigilant with your data at home as it is in the office. Cybercrime affects anyone who uses the Internet, so always have security measures in place. Use a strong password for all your devices and logins, and never the same one for all. Choose longer passwords with a combination of numbers, symbols, and upper and lower case letters. Never write your passwords down, and change them regularly. Try to come up with a system of changing a few characters in your password often while still remembering it. Never open emails from people you don’t know or didn’t subscribe to, and never click on links or send personal information. Legitimate emails from places like banks will never ask you to click on links or enter personal data. When you’re shopping online, always look for the padlock symbol in the address bar before putting credit card details or personal information into order forms. Also make sure to shop at reputable sites. Don’t leave personal documents lying around the house. Store them in a safe, secure place, and if you no longer need them, have them destroyed using a secure shredding service. Secure your letterbox with a padlock, and if you’re going away for a while, ask a trusted neighbour or friend to regularly check your mail and collect it for you. If you move house, apply to have your mail redirected to your new address. Many of the points for device and Internet security for your home also apply to your business, such as passwords, phishing emails, and documents. However, with more people in the office comes a greater risk of security violation. Never leave sensitive documents lying around on your desk if you’re not using them. Store them back in their secure place in the office as soon as you’re done. Consider using a professional document destruction company to collect all your documents and shred them. Most devices are set to automatically update their operating systems and software whenever a new patch becomes available. Out of date software can present serious security breaches. Always use a Virtual Private Network when using an unsecured Internet connection such as public Wi-Fi. A VPN will heavily encrypt all your sensitive information to prevent hackers from stealing it on a compromised network. Be sure that every employee knows the importance of keeping data secure. Regularly run regular training programs to educate everyone, and update your security policies. The safest way to avoid security breaches is to have all your old documents and products put through a commercial shredder. For secure document and product destruction in Melbourne, call In Confidence on 1300 723 187, or contact us online.